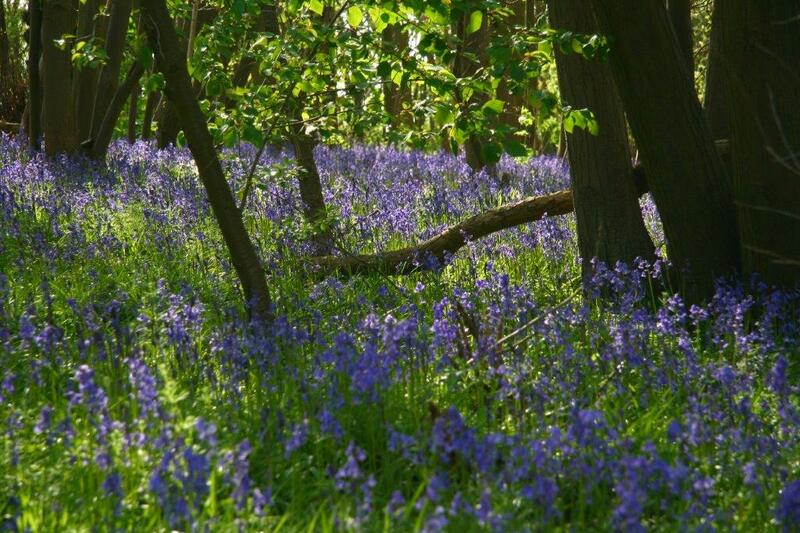 As the Bluebell extravaganza in Wivenhoe Wood starts to fade, I have been reflecting on the wonder that is our Bluebell. An almost universally-loved feature of our spring countryside, but one that is if anything underappreciated. 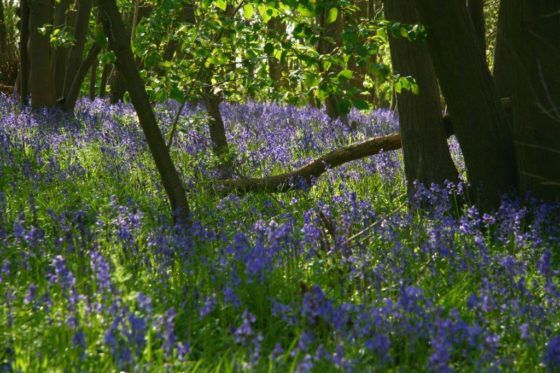 It is a feature of the here and now: here, as it is restricted to the Atlantic fringes of northern Europe; now, as in the past when we still had Wild Boar, their rootlings would have prevented the massed displays we now take for granted. 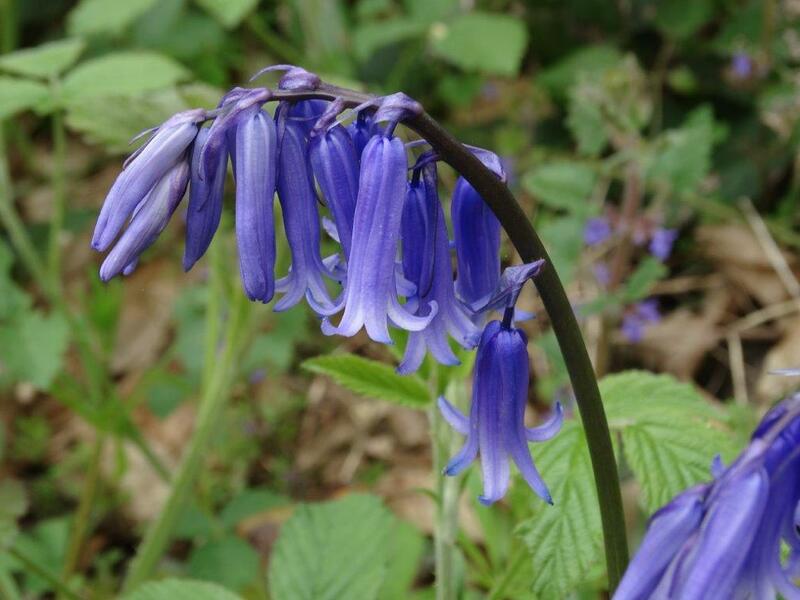 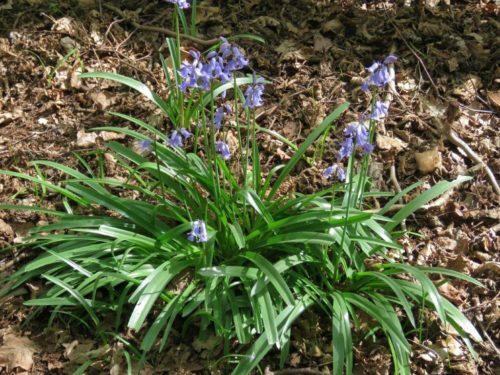 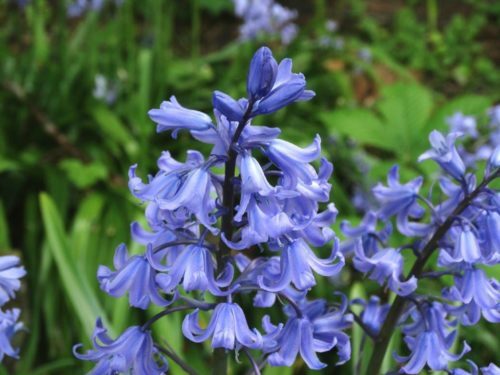 But as is well known, our native Bluebells are under threat, particularly from the Spanish Bluebell, not by displacement but by dilution – insidious genetic pollution. 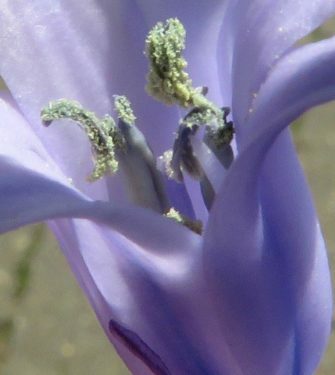 The Spanish species, grown in gardens here for a couple of centuries at least, is less vibrantly coloured, more feebly scented, with splayed rather than recurved petals, altogether a less droopingly delicate plant, with flowers all around its stems, rather than one-sided. 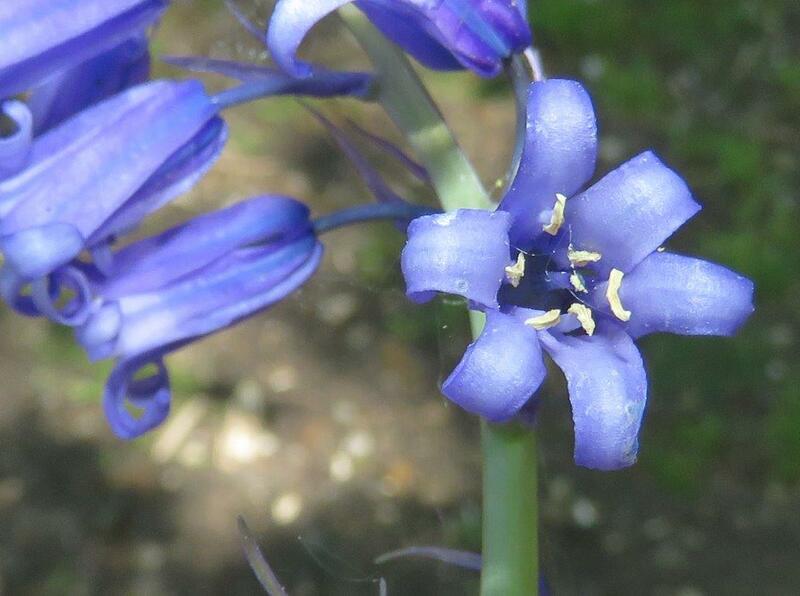 Unfortunately, as plants so often do, the two species readily hybridise. 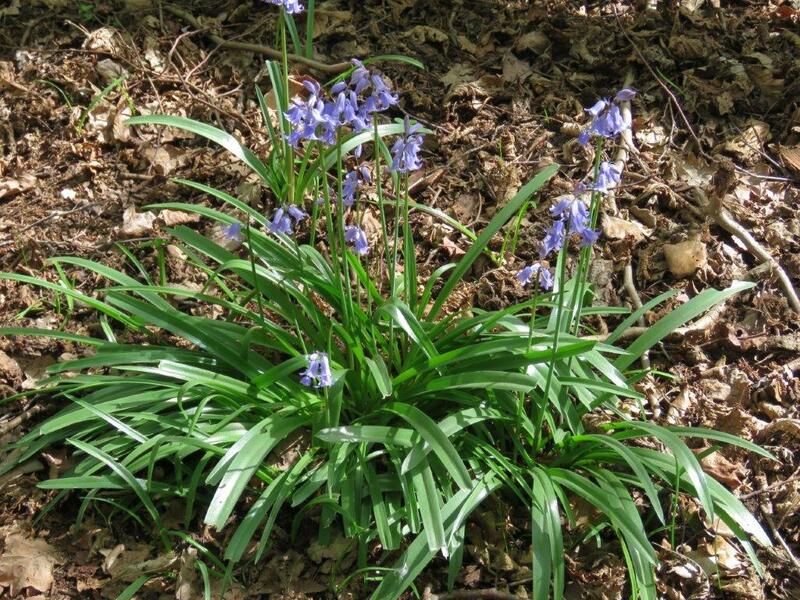 And the hybrids breed freely with other hybrids or either parental species. The result? 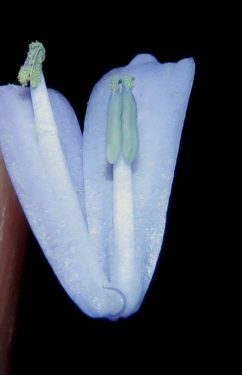 A continuous suite of intermediates between the two parental species. …but sometimes less clearly, in which case you need to look more closely at the flower structure, as I have been doing this week. 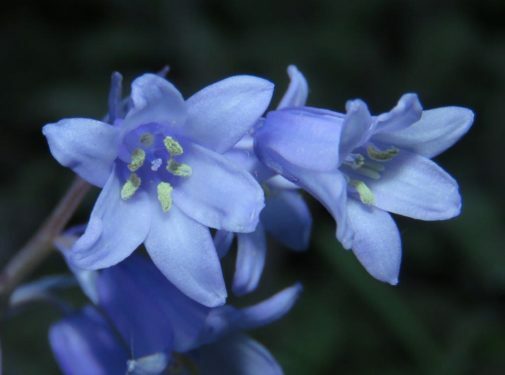 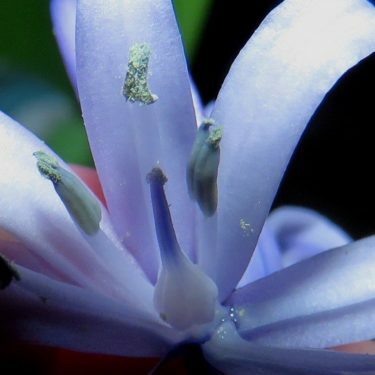 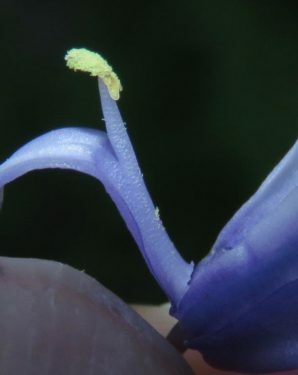 To be a true native Bluebell, the ‘petals’ (actually technically termed tepals, as the six segments representing the sepals and the petals are the same shape and colour as each other) should be strongly recurved; the pollen-producing anthers should be cream in colour; and the stamen adjacent to each outer tepal should be fused to the surface of the tepal for at least 75% of its length. Incidentally, all this came as a surprise to me as a lifelong botanist: I had simply never delved into bluebell flower structure before. Never knew about the stamens fused to the tepals, nor the fact that the stamens associated with the inner whorl of tepals are shorter, attached only at the bottom of the tepal, and the inner anthers burst open to release pollen later than the outer anthers. 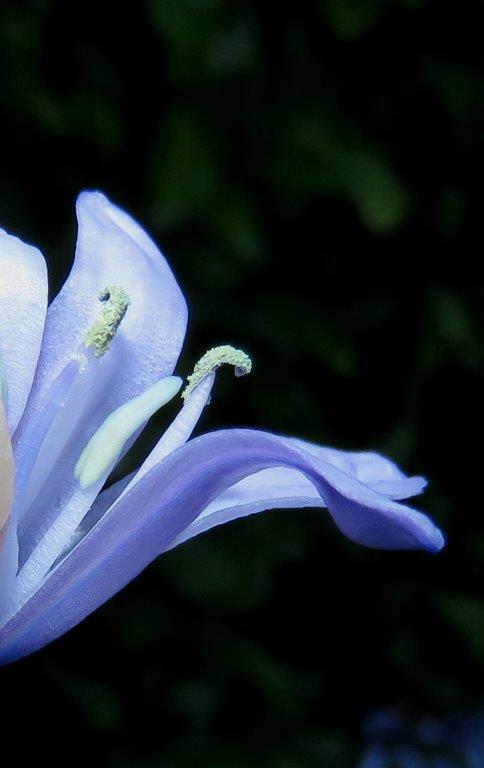 Such a revelation! 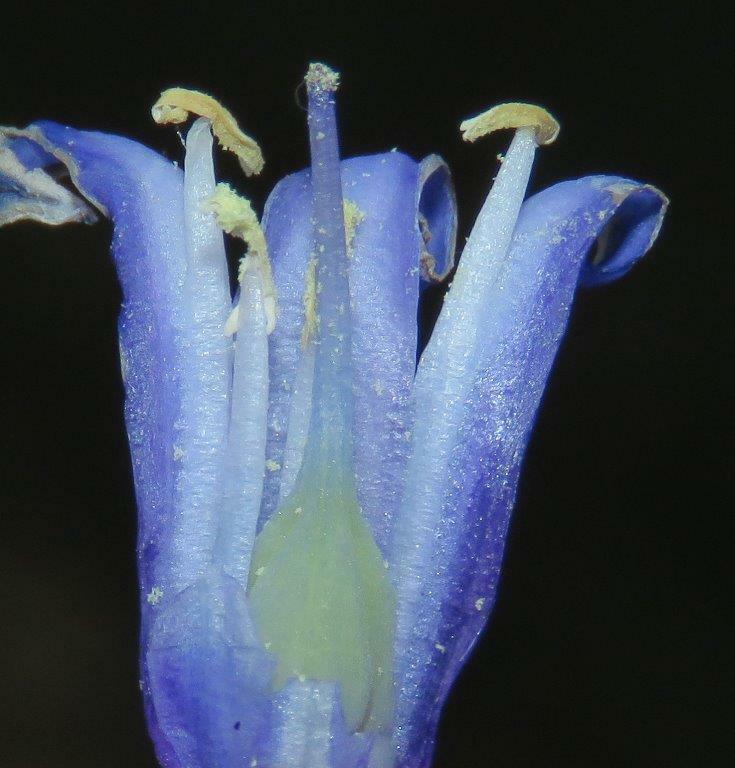 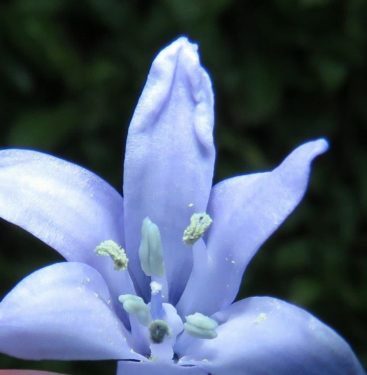 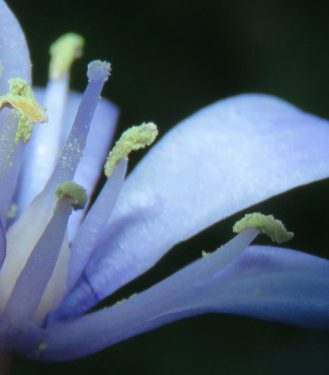 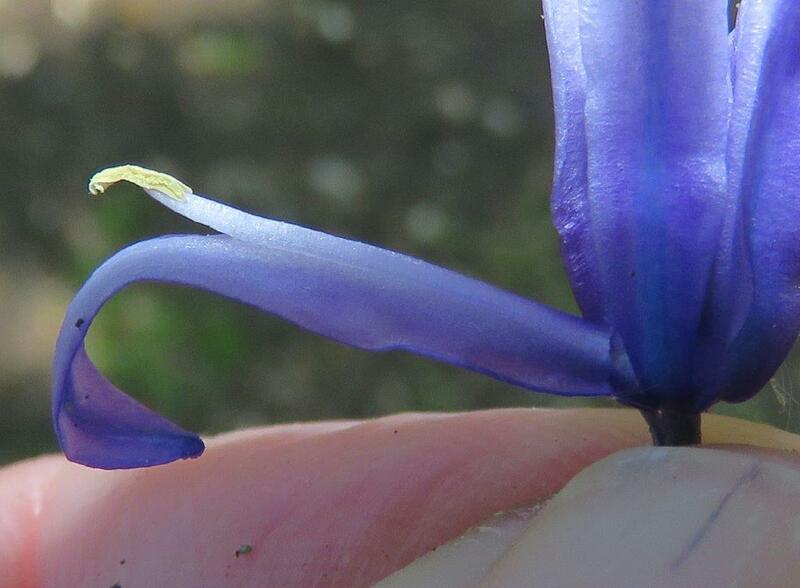 In contrast, ‘good’ Spanish Bluebells should have splayed tepals; blue anthers; and the stamen adjacent to each outer tepal should be fused to the surface of the tepal for less than 75% of its length. And then there are the hybrids, intermediate in detailed flower features as well as gross morphology. Trouble is that whereas plants may look either of the true parental species, detailed examination of anther colour and stamen insertion etc often reveals a degree of hybrid ancestry, anomalous features which indicate genetic pollution through the pollen dispersal activities of bees. The closer one looks, the less clear-cut the story becomes!